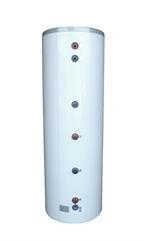 Solar-Water-Heater-Pro by First Solar Products Inc.
We are Solar Water Heater Pro! We are committed to bringing solar hot water systems to every family in the United States, affordably! 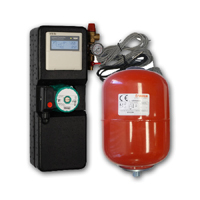 Today's Solar Hot Water Systems can be operated efficiently and affordably in any climate. With evacuated tubes and special coatings, systems can operate even under cloudy sky or freezing temperature. 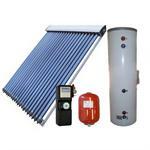 Solar hot water systems are also called solar thermal systems, solar hot water heater or SWH. They consist of solar hot water collectors in evacuated tube form, or in flat panel form, solar water tank, and work station including circulating pump and control unit. 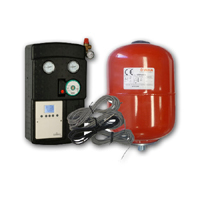 Solar Water Heater Pro offers SRCC certified solar hot water collectors, solar water tanks with heat exchangers, and accessories including circulating pump, control unit or solar controller, expansion tanks/vessels, installation frames, and other spare parts. Price: Close Out Sale! Add to Cart to View Price! 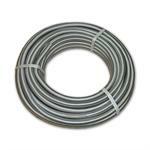 Stainless Steel Flexible Tubing 164' Roll 1/2"